Such a romance has happened to many celebs. Stars like Emma Stone and Julia Roberts almost never fade to their signature celebrity hairstyles with auburn colors. So dare to try them now and start a long lasting relationship. 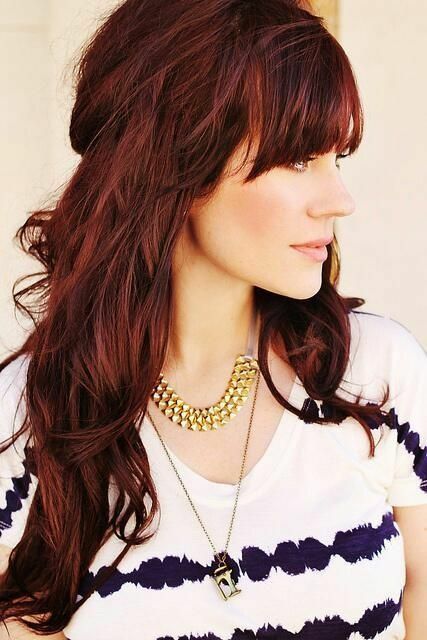 Auburn hair hues and shades will guide you to light in your dull winter moods. Auburn has many shades in reality. The palette of colors starts from the most fare tones and goes to the deepest hues. Actually, it all depends on your base tone. 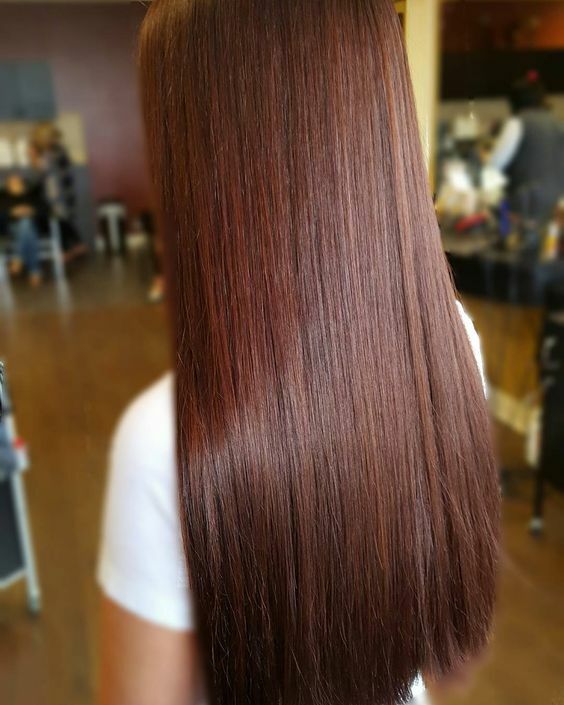 Brunettes and brown hair can be easily converted to solid burgundy While for blondes, it is almost impossible to get there in just one dye. The process will require changing several shades from lighter to darker. Anyways, as you can see yourself auburn rocks, and is worthy efforts. The good thing about dark auburn hair colors is that they fit any skin tone. It's like red lipstick. Once people said that it suite only fair-skinned. Then only dark-skinned. And now red lips are for everyone. 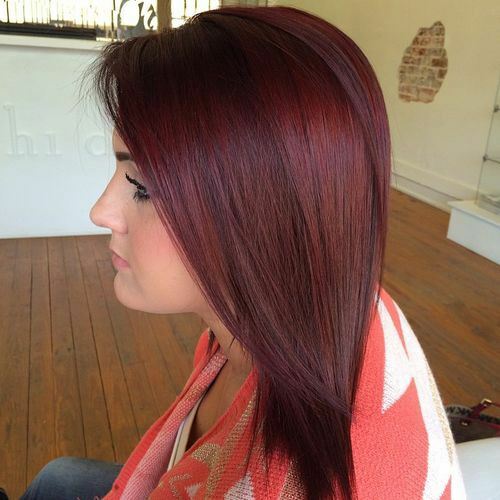 The same is with this reddish-violet hair hues. No mater olive skin, or pale as a wall, you will look fantastic with the color that speaks out loudly. Julianne is one of the iconic redheads of all times. Her copper, dark copper, reddish and auburn hair colors are never changing to brunette or blonde. And she knows what she does. The color fits her incredibly. This is the signature color, that she has chosen quite to the point. For Emma auburn is not a forever color. She went suddenly bright copper a couple of seasons ago. Then hair hue changed to jet black at Met Gala 2016. Then the platinum blonde. However, we love her look with auburn color.